Ed Hatch: Plein Air Painter. Local Treasure. We are so lucky to be able to count the supremely talented artist, Ed Hatch, as one of our esteemed Prince George County residents. Ed is a humble master of the plein air painting style. Many people perceive artists to be eccentric, quirky, odd-balls. Ed is not exactly one of those artists. Born and raised in Prince George, Ed has been a lifelong resident. Rather than occupying a flashy downtown studio, he works out of a former country store that goes back in his family 100 years. When you visit his studio, it’s like stepping into another world, one long forgotten by time and digital evolution. The sign on the building reads, “Open by appointment or chance.” How down home is that? Entering the building, you also get that down home feeling. An old wood stove sits in the center of the room. The smell is that of a familiar childhood memory. Stamped tin lines the ceiling with old paint peeling from it. Large, aged glass windows allow light to wash across the room. Assorted items, strategically placed throughout the space liken to an antique emporium, but not one of those junky ones. More like a museum. Scattered among these odds and ends are Ed’s paint supplies. 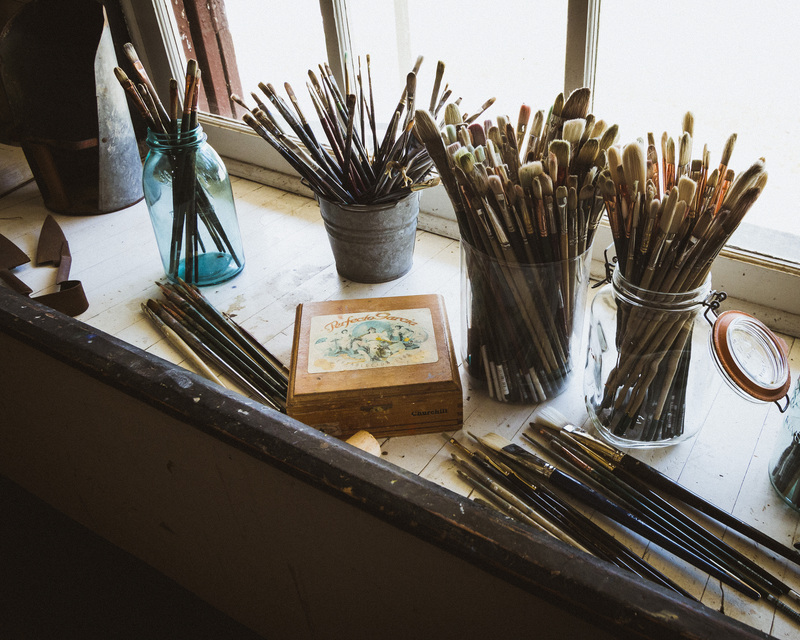 An easel, brushes, paints, paint knives, and other tools of the trade enforce the idea that you are, in fact, in an artist’s studio. In addition to function as Ed’s place of work, the old store serves as a gallery. Works in progress and completed pieces, some old, some new, line the walls. 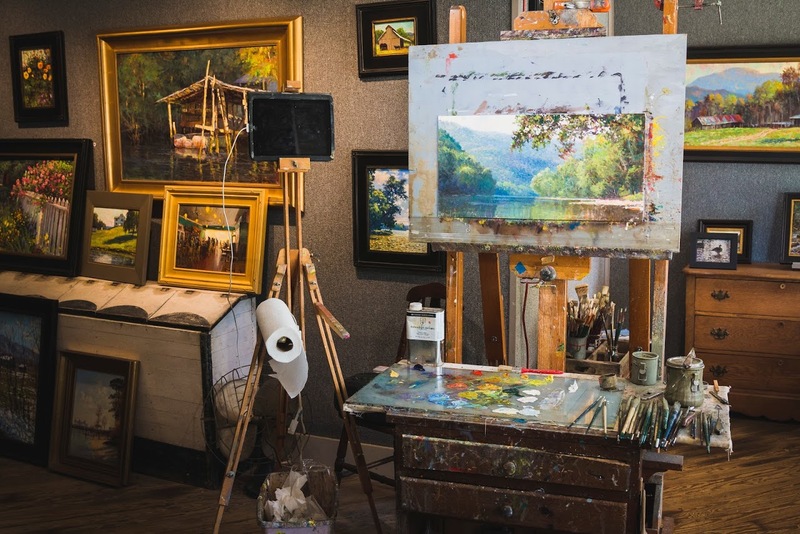 Often, you can catch Ed in the studio with a canvas on the easel and paint on his palette. 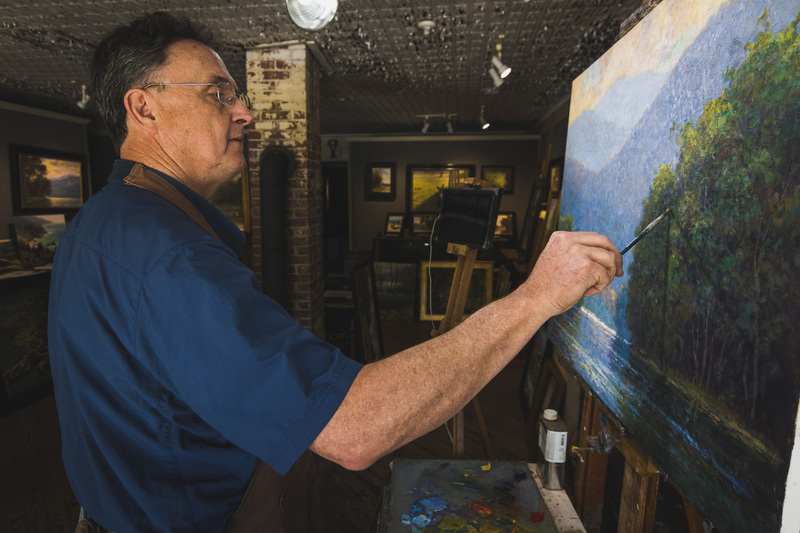 His plein air scenes depict wildlife and familiar Virginia landscapes, although he has also been known to capture locations throughout the United States and urban scenes, as well. His work has won numerous awards and recognition through the country his paintings are displayed in galleries all over the U.S. Given all that, it’s remarkable that you can find this amazing artist right here in Prince George County. 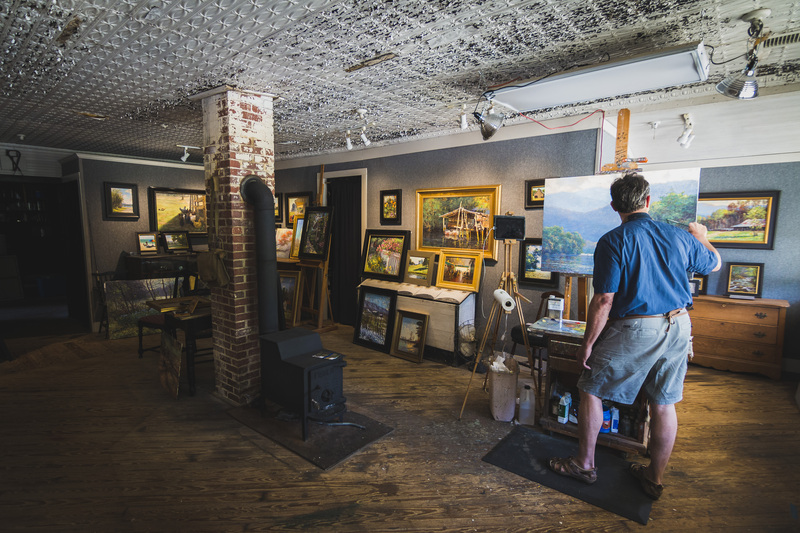 So, if you are thinking about doing the Five and Dime, or, if you just want to take a jaunt out into the countryside and get out of town, go see Ed Hatch at his studio and gallery. Just remember, open by appointment or chance.